Hello, friends! 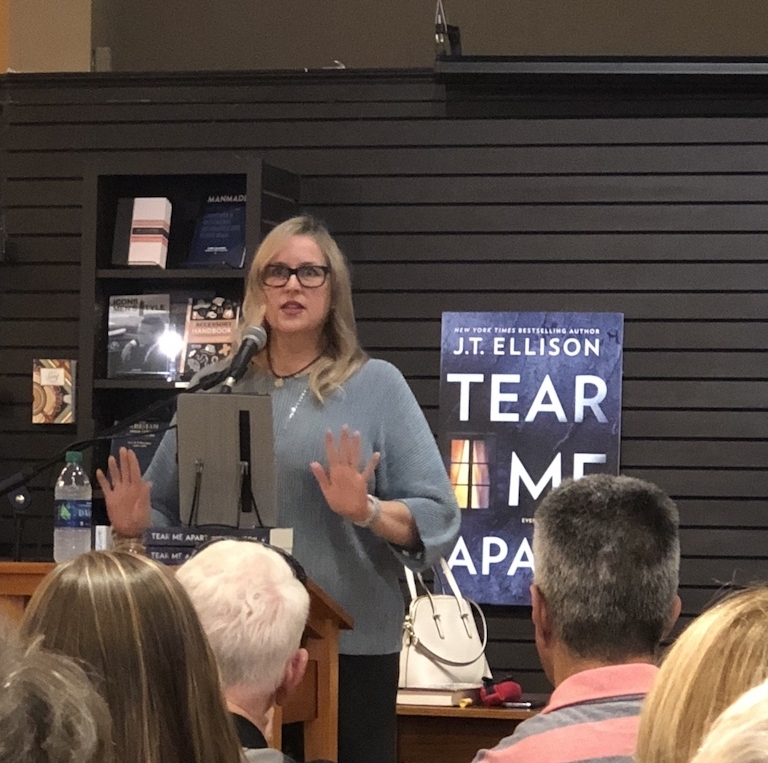 TEAR ME APART released this week, and it was such a joy to meet up with so many of you on the road! Next up for me is Bouchercon, which I'm so looking forward to. Many friends to see, panels to give, and readers to meet. I have to say... We had a brilliant time in England. London was fabulous -- London is always fabulous. Harry Potter and the Cursed Child was wonderful as well. I even indulged and went shopping on Broad Street and Savile Row. I am now in possession of some serious grown-up lady clothes, which are all timeless, a new goal of mine. We also spent a fun evening at the 100 Club, a punk/jazz/blues spot. A wide variety of shows, n'est pas? And can I mention the food? Dear Lord, the food! With my allergies I was worried, but the Brits have it all figured out. They were incredibly kind and attentive to the parameters we set, and I was so touched. I have to say, the gluten free scones in Cambridge were among my favorites, but we ate incredibly well the entire trip and didn't get sick once. We had a tour of Cambridge from the back of a '58 Bentley, a lovely punt and managed to beat the rain, too. I've always had a soft spot for Oxford, since I visited 30 years ago (!) and it held up to my remembrances well. Spent a lot of time in the Bodelian Library and New College, have some great shots of Christ Church. It was fun to turn around and see Hogwarts over my shoulder! All in all, it was a fantastic trip. And I returned home to find my book baby waiting for me in stores, capping the week perfectly. Had a blast at Parnassus and Murder by the Book, too. Check out my Instagram for lots of photos and stories. Enough about me, let's look at the latest and greatest links! Rushing Ahead. A great review of one of this year’s highly anticipated novels from the brilliant Lisa Patton. RUSH is a fabulous read with a timely message, and beautifully written to boot. Go get it! Quo Vadis products available at Barnes and Noble stores. Exciting news! I am a huge lover of all things Exaclair and Quo Vadis! Best paper out there. Lessons Learned From Luggage Lost. What a fabulous message. I thought I'd packed perfectly for my trip and turns out, I was wrong. I now have a much better sense of what I want to bring overseas with me. Simply excellent. 14 "First-in-Series" Thrillers Featuring Strong Female Leads. Happy to see A DEEPER DARKNESS included here. What a great list! When Self-Care Turns into Self-Sabotage. Great advice here! Life adjustments are more important than hot baths, at times. Though never underestimate what 30 minutes of quiet reflective time can do for your soul. Stop the Stuff Stream. "Once you’ve decluttered, deowned and donated a large amount of stuff, your home will feel lighter and more enjoyable.The real trick is keeping your home that way. Stuff tends to creep in whether we want it to or not. The best way to protect a peaceful, decuttered home is to stop the stuff stream." Incredible discovery of cave girl whose parents were different species. So cool! I loved my AWOW talk with Claire Cameron, whose novel predicates on this concept, so was excited to see this update. I Reached A Minimalist Plateau & This Advice Got Me Through It. I love this idea! 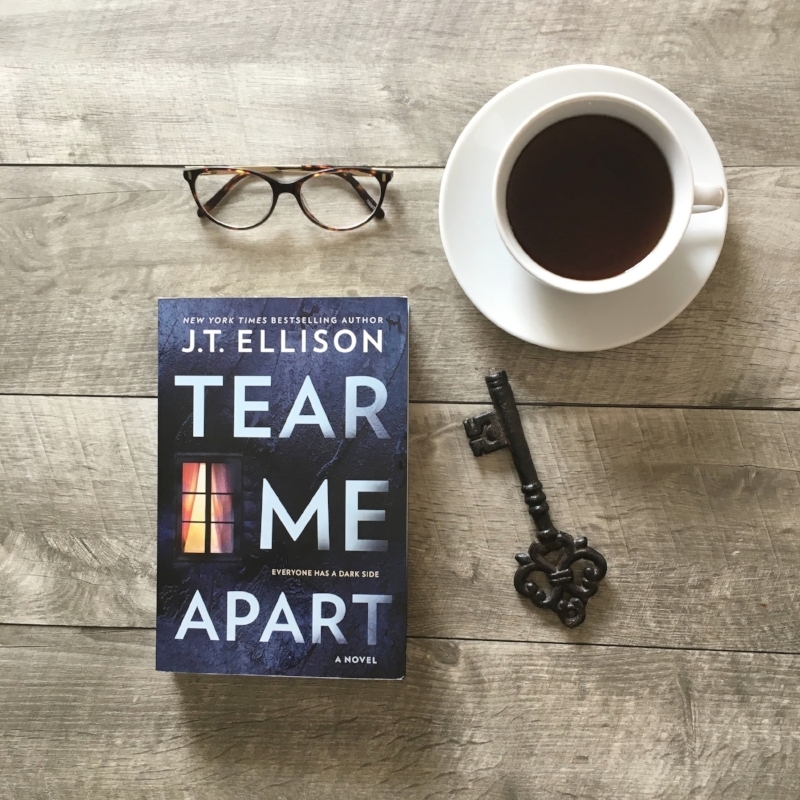 I’ve been so moved by the kind reviews and amazing photos of TEAR ME APART! People are really connecting with this story and I’m so grateful. I was worried about how this book would be perceived, but I needn't have. So far, all the commentary has been very positive and caring. It's hard to lay bare your soul. I'm thrilled so many people are joining me on the journey. You can read the inspiration behind the story here. And if you haven't gotten your copy, it's not too late to help those first week sales! 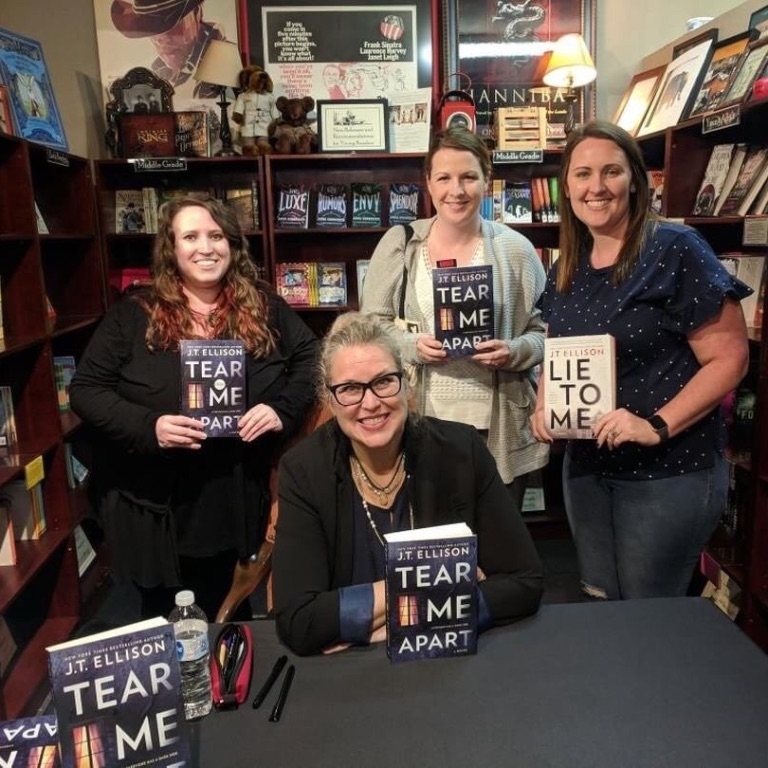 Then I headed to Murder By The Book in Houston, where I got to meet some seriously amazing Bookstagrammers, and a longtime Facebook Friend. You can find all of my remaining book tour events here. That's all for now! Have a wonderful rest of the Labor Day weekend, read some great books, take a long walk without your headphones, and we'll talk again soon.